AYO is a light-based wearable supported by an app that actively improves sleep, increases energy levels and minimizes jet lag. 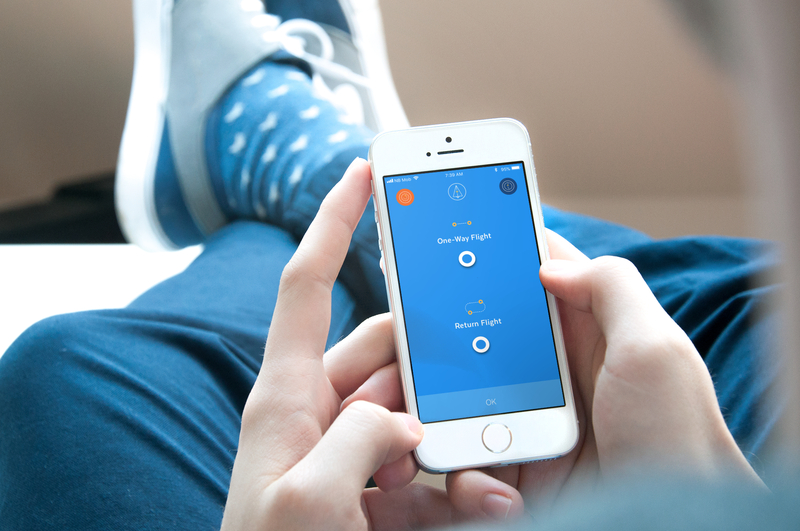 Designed: total branding & art direction including Indiegogo crowdfunding campaign and app design. 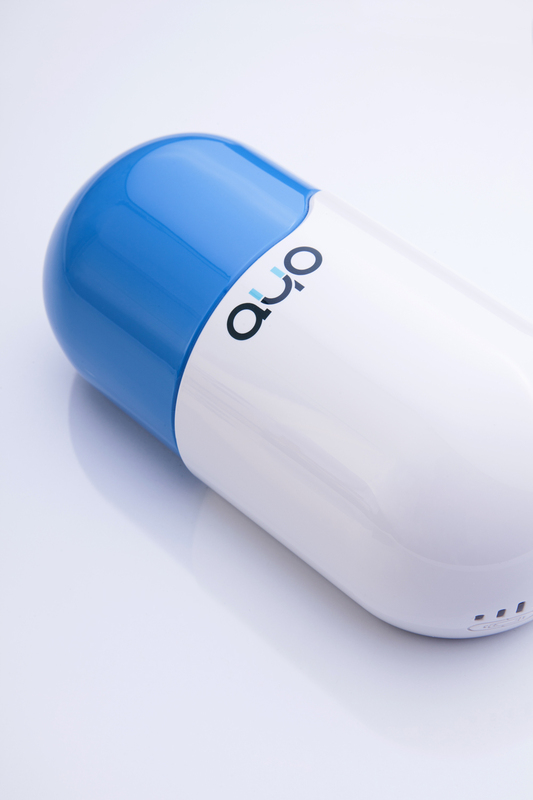 AYO is a light-based wearable product that actively improves sleep, increases energy levels and minimizes jet lag. The product was designed and developed based on years of cutting-edge research. 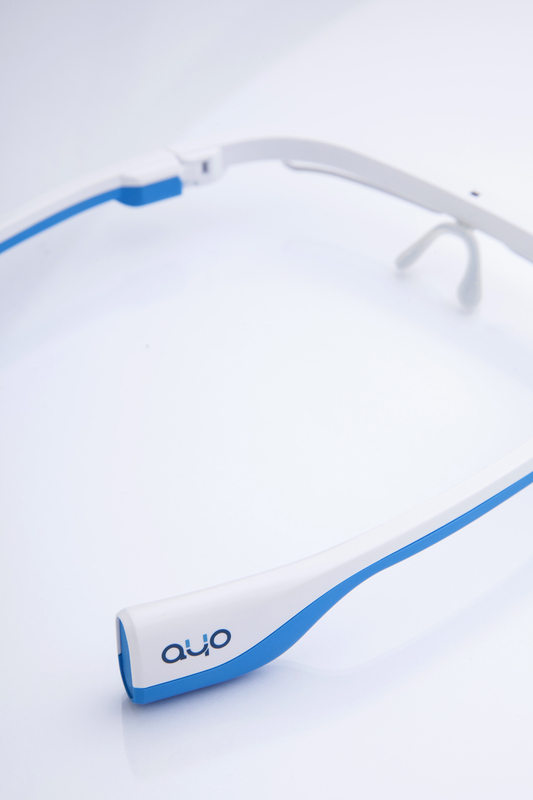 AYO combines a pair of smart glasses with a smartphone app. AYO wanted to present their revolutionary idea to the world and start raising funding for their business venture. They needed a strong brand identity for their innovative startup. The goal was to create the entire visual concept for the brand identity of this next-generation wearable. I started with the visual identity: designing a logo, choosing a color palette and typography to support the brand attributes. Once the visual identity was defined, I continued building the entire look and feel of the brand. Since the product technology required some explanation a clean set of visual icons was created. Combined all together the visual elements shaped a desired image for AYO as a brand. Once the visual identity was defined, I continued building the entire look & feel of the brand. Since the product technology required some explanation a clean set of visual icons was created. Combined all together the visual elements shaped a desired image for AYO as a brand. The already created aesthetics of AYO were brought outside of the digital into the physical - the AYO eyewear and it's charging dock/case. I worked closely with a the production design team to adapt the house style to their industrial deisgn, combining both in a desireable product and the starting point to the owner's journey. Style already adapted, indication icons, graphics and markers were created and added to make the use of a such an innovative product seamless and to fulfil the promise of an "easy setup as 1-2-3". 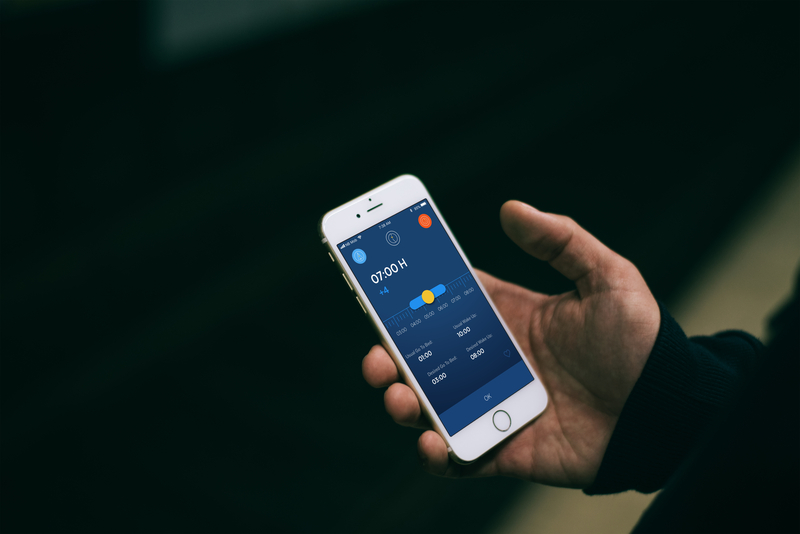 The supporting app was considered by AYO's creators as the engine behind the product. 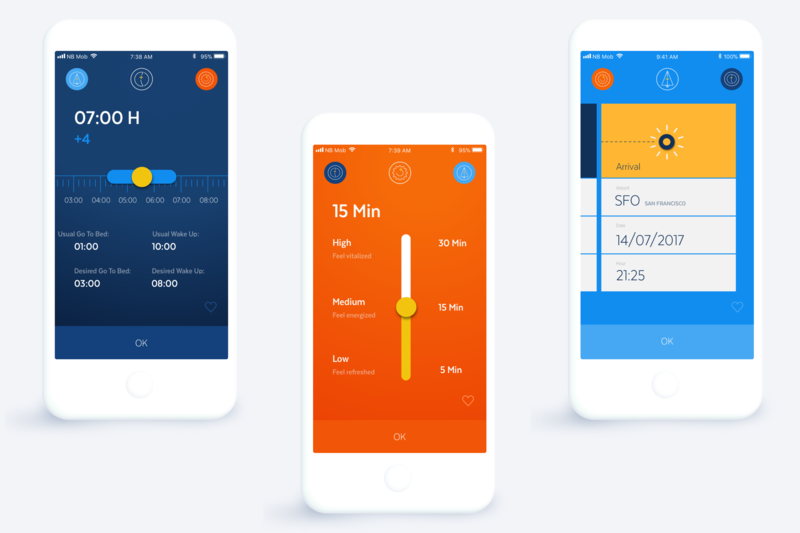 Its smart algorithm generates a fitting personalised schedule based on the user's lifestyle habits and previous usage of the app. 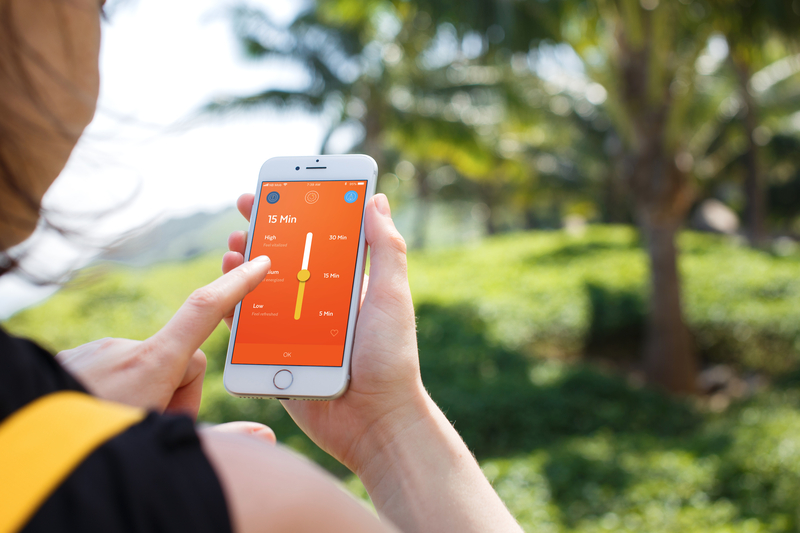 The initial direction for the app development was to focus on three separate program therapies: for Energy boost, Better sleep and seamless Travel. Hence I used separate distinctive colors to make them clearly separate from eachother. The three separate programs were not only different from eachother as a therapy and result, but also how they were developed. Needing a different set of data, all three programs had to be developed not only with usability in mind, but also using the same visual language so the user can effortlessly go through the task and feeling right at home. Energy mode program being the easiest of all, uses a basic vertical slider with three preset therapy timings of 5, 15 and 30 minutes. Sleep mode combines a time picker and a horizontal slider to easily adjust the sleep pattern set by the alghorithm. Travel mode uses a standart Airport, Date and Time picker for all the data the user can specify, the rest of the calculations and therapy setup are done behind the scenes. AYO's crowdfunding campaign raised over $ 370,000 on Indiegogo from 1,740 backers in more than 80 countries all around the globe. All of the materials and artwork deliverables were constantly being used in investors pitches, fundraising meetings and promotional activities to attract new distributors. Currently, AYO is available on KLM Royal Dutch Airlines’ world business and economic passengers, being sold on Amazon US, b8ta flagship stores in USA and featured in many international media outlets.